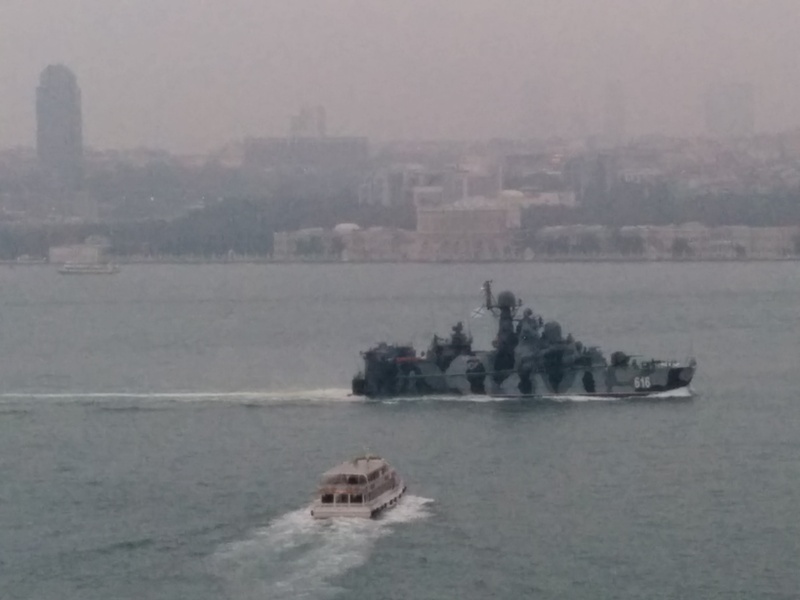 The Russian Dergach class warship 616 Samum making a northbound passage through Bosphorus on 31 October 2014. Photo: Alper Böler. Used with permission. It’s “Dergach” Class, You threw me a loop on that one!